MENDEL collects much more information on network traffic than NetFlow, IPFIX or similar protocols. The web user interface presents comprehensive data on network traffic. Data includes management overviews, communication of the network, subnetworks, users and applications, peers, individual flows and their content - in order to investigate interesting events. MENDEL investigates beyond known threats to detect symptoms of malicious behavior at the atomic level. Threats are identified in their early stages. This decreases incident response time, prevents further damage and reduces overall risk to the organization. MENDEL monitors network flow data, also in IoT devices, to identify traffic in and out of the network and communication flows between devices within the network. 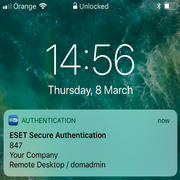 This includes additional anomalous devices, excessive communication from one device to another or to a host outside the network, and periodic communication that is common in advanced persistent threats. Instead of relying on older and limited SNMP polling, MENDEL leverages flow-based and content-based monitoring. 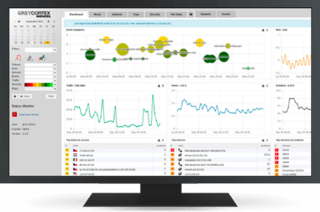 Flow-based monitoring provides near real-time (1 minute intervals) visibility into network statistics and other summary and detailed issues. Deep content inspection (DCI) extends this information with real-time comprehensive contextual metadata (user identity, applications, for example). MENDEL Analyst generates metadata of network communication providing full contextual awareness – for example destination and source, user's identity and application protocol. Unlike technologies based on full packet capture, it allows the metadata on network traffic to be stored for a much longer time with low demands on storage capacity. These include signature-based detection, deep packet inspection, network behavior analysis, specialized algorithms, network performance monitoring and application performance monitoring.